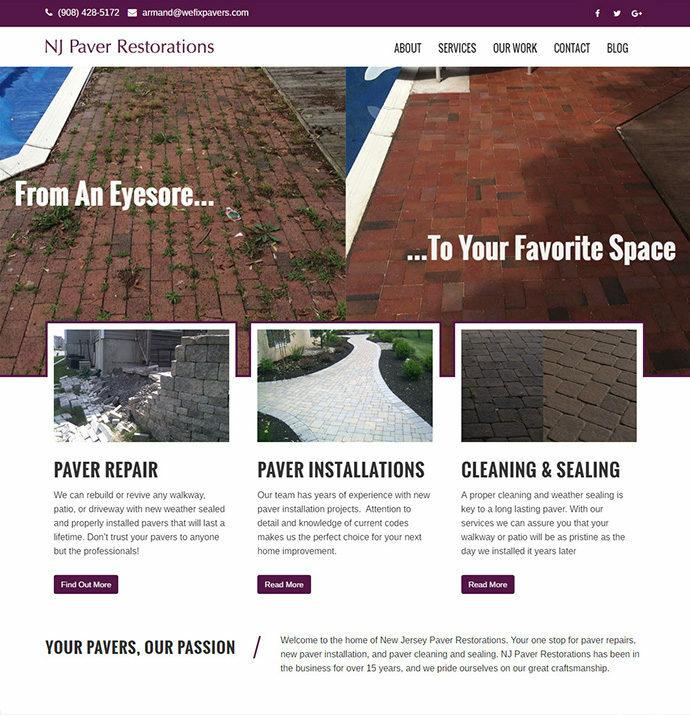 NJ Paver Restorations was looking to increase their sales and conversions. We helped this local certified paver restorer achieve that and more as we produced a professionally designed and search engine optimized website. In addition to creating engaging content that encompasses all of his pertinent information we continue to help him each week by creating fresh, new blogs and link building strategies. 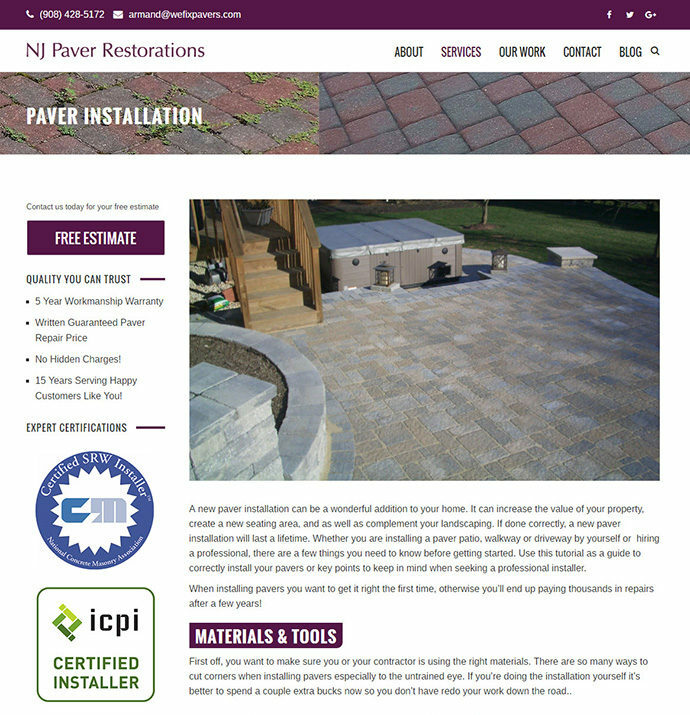 With our custom SEO Package NJ Paver Restorations have increased their page rank, landing him on the first page of search results globally and locally. Since applying our strategies NJ Paver Restorations has seen a drastic increase in conversions, sales, and estimates! Needless to say they are ecstatic with the results so far!